There comes a point in which you find yourself or notice another family member struggling to get up the stairs. In response, you decide to stay on one floor and limit where you go. But, instead of settling for a small, restricted space, you can still get access by installing a stair lift. These systems, in which a track is added along the stairs or wall and a chair travels from one end to the other, present an affordable, efficient solution to elevators or purchasing a new property. When and for which conditions might a stair lift be necessary? With age can come limited mobility and conditions that degrade vision and joint flexibility. Because of these changes, older adults may end up living on one floor of their multi-story house or decide to purchase a smaller, single-floor ranch-style property. Yet, these decisions compound to each other, and in comparison, a stair lift ends up being a far more economical option. 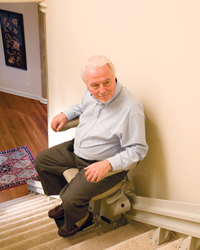 When can a stair lift be helpful? When an individual is living with vision impairments, particularly conditions that change depth perception. A stair lift, as a result, allows the homeowner and other residents to have full access to the property. Not all stair lifts are permanent. In fact, for a person recovering from surgery to the legs, hips, or back, this device temporarily assists moving between floors inside a larger house. Similar to the scenario mentioned above, these types of injuries have potential to keep an individual restricted to one floor. Recovery time, however, can take months; without the lift, the home may need to be reorganized in order to bring all necessities – a bed and clothing, for instance – down to one level. For meeting this short-term need, rental programs offer a solution. An individual may find his or her mobility diminish over time, from age, illness, or disability. In some cases, these changes require assistance in getting up the stairs – to the front porch, up to the second floor, and down to the basement. No one should feel as if he or she can no longer enter his or her home, go about daily tasks, or even use the second level of a property. Installing these fixtures in all areas essentially keeps all spaces open and ready for use. 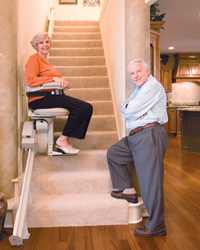 For these situations, residential stair lifts offer a reasonably-priced strategy for ensuring complete access. 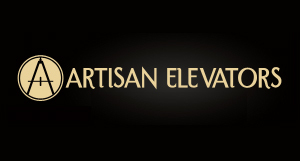 Browse through and contact Indy Stair Lifts to explore your options.